Blogs are the best way to drive traffic to our website, so why don’t more restaurants use this wonderful tool? Many of our clients wonder what they could possibly write about. So we took to the streets and asked people what they wanted to hear from their favorite restaurants. Below, you will find 8 blog post topics that you can create hundreds of blog titles from. The internet is the go-to place to search for recipes. So, the most important thing you can do for your blog is fill it with wonderfully easy recipes that will be helpful for the home cooks. Restaurant patrons want to feel that they are connected to the restaurant so they love to hear all of the behind-the-scene events that happen. For example, you could write about something that went on in the kitchen that day or some funny things that the wait staff were asked during their shift. The blog is the perfect platform to push out information on what your new specials are of each week. This will keep people coming back to your blog often to see what’s new. 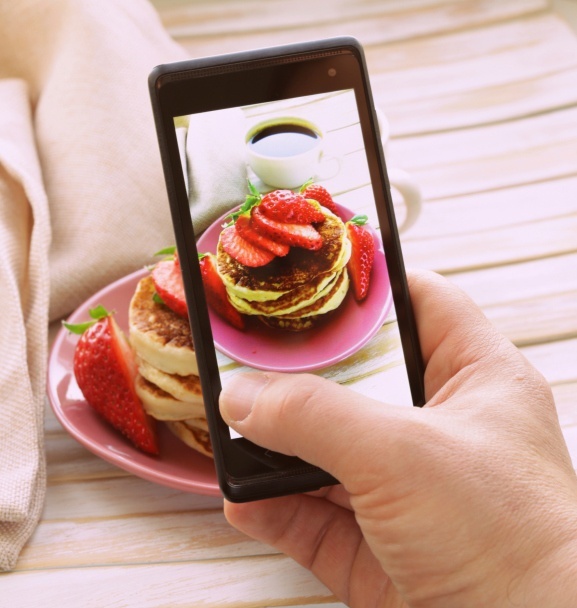 Don’t forget to include mouth-watering images! People like to know what the key players of the restaurant think. What better way to It could be as simple as sharing a monthly post with thoughts from the owner or thoughts from the chef on a specific topic. What better way to announce all of the restaurant’s special events than to write about all of the details on your blog? You can even attached the event flyer for people who are interested in all of the details. Everyone loves to know where their food is coming from. Rumor has it that restaurant goers in Oregon are all about locally sourced ingredients and will even leave a restaurant if something comes from further than 50 miles away! Now we do not all live in Oregon, but we do love when ingredients come from close by! Something that seems so normal to you can be very interesting to people who do not know the ins and outs of the restaurant industry. This can include fun facts on how a menu is built and the importance of switching around menu items on a regular basis. Being in the cooking industry, restaurants can offer a lot of wonderful advice for amateurs who love to cook. These tips could range from how to cut 20 pounds of brussels sprouts all the way to the best cheese options for everyone’s favorite comfort dish: Mac n’ Cheese. Do not delay another day in building your blog to begin pushing traffic to your site. Click on the image below to find out what 10 things you should be cutting from your restaurant marketing!